After four consecutive months of decline, the Canadian auto industry surged to a record-high result of 161,000 sales in November 2016, the best November in the industry’s history and a 10% improvement compared with November 2015. A 31% uptick in pickup sales provided a major boost. With the Ford F-Series surging, pickup truck volume grew by 7732 units in November. SUV/crossover sales jumped 15%, a gain of nearly 9000 sales. That improvement cancelled out the loss of car and minivan volume, as predictable declines continued in those sectors. The Ford F-Series, Honda Civic, Toyota RAV4, and Dodge Grand Caravan have all locked up their respective categories – trucks, cars, utilities, minivans – with one month remaining. It also appears all but impossible for 2016 to avoid setting a fourth consecutive banner year for the industry. Unless auto sales crumble below 75,000 units in December – a 40% drop at minimum – 2016 will be another year with record annual volume. Not since January 2009 have auto sales fallen so low. Expect roughly 130,000 December sales instead. There were two new cars added to the ledger in November. 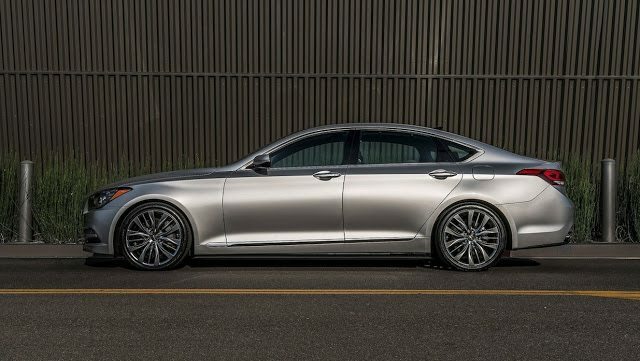 Hyundai launched its upmarket Genesis brand, without stores, and reported 31 G80 and 14 G90 sales. Reminder: these are 2016 year-to-date rankings, but you can sort vehicles by November 2016 volume by clicking the November 2016 column header, or you can rank vehicles by improvements or declines using the % columns. Or, most importantly, you can list automakers together by selecting the Vehicle column header. There are visible brand results, so when you sort the table by vehicle names to showcase, for example, all Maseratis together, you’ll also see the Maserati brand’s total. Auto brands are shown in bold to differentiate makes and models, manufacturers are bolded and italicized. At any time, click the Rank column to return to the original format. If you’re on a mobile device, you may need to choose the full version of the site (at the bottom of the page) in order to use the sortable function. ² Total Prius Family sales: up 128% to 977 in November; up 11.1% to 7541 YTD. Sales data for brands such as Ferrari, Lamborghini, and Rolls-Royce are unfortunately not broken down by model. estimates say sales for those brands in 2016’s first ten months were 198, 160, and 78 units, respectively. It is believed that Tesla sold 2034 new vehicles during the first 11 months of 2016.